Knott’s Scary Farm is always one of the top haunts on the AHH list, and the 2017 season did not disappoint. This year’s Scary Farm offered guests two new mazes, an updated Trick or Treat, and the final Elvira: Mistress of the Dark show. In addition to the new attractions, attendees were given the opportunity to revisit classic attractions from previous years. Ok, let’s take this step by step, maze by maze. Dark Ride– Dark Ride was one of the two new mazes. This was my 2nd favorite maze. The theme is pretty straight forward. It’s modeled after an old carnival dark ride. In my opinion, this was an excellent theme choice. It’s something that seems obvious, but I haven’t seen almost anyone else try this concept. I loved almost everything about this it. It had colors, glowing elements, and mechanical wizards. You name it, it was probably in Dark Ride. This maze gave off a deep appreciation for the theme parks and rides of the past. It reminded me of everything I loved about going through the haunted house at the state fair. Pumpkin Eater– Pumpkin Eater was the other new maze for 2017. Like Dark Ride, Pumpkin Eater appealed to my nostalgia. If Dark Ride was an ode to theme parks of the past, Pumpkin Eater served as an ode to Halloweens of the past. I loved all of the jack o’ lantern motifs and the many different textures within the maze. There were so many wonderful classic Halloween elements. It was a delight being able to walk through the inside of a pumpkin right into a corn maze. If I had one complaint about Pumpkin Eater, it’s that I didn’t completely understand the story they were trying to convey. However, overall the maze was a win. Trick or Treat: Lights Out– I don’t have much to say about Trick or Treat. It was kind of fun being able to walk through the maze with a flashlight, but I liked the previous year’s maze better. I have to agree with my friend who felt that making everything so dark rendered all the creative details insignificant. Red Barn– This maze has consistently been my least favorite. I don’t hate it. In fact, I quite like the giant diseased horse. Still, the whole cannibal farm theme feels a bit uninspired. Shadowlands– From my least favorite to my most favorite. Shadowlands is once again my number one. A big part of that is the Japanese theme. I have a strong interest in Japanese culture, particularly J-horror. I noticed a lot of cool stuff about Shadowlands. For example many of the classic youkai like Rokurokubi, (a very, very long necked woman) could be found within the maze. I definitely appreciated the designer’s commitment to historical accuracy. Tooth Fairy– Tooth Fairy is another Knott’s staple. This maze is like your wort dentist trip times ten. Like Pumpkin Eater, Tooth Fairy has some wonderful textures. I particularly liked the walls that are made to look like gums. While I wouldn’t call Tooth Fairy one of my favorites, it’s absolutely worth checking out. Voodoo– Voodoo is another maze that stands out for me. I like these mazes with a heavy cultural aspect, and Voodoo provided it in spades. The maze guided you through all of the types of places associated with Louisiana voodoo. One highlight from this maze is the scene of a mechanical alligator being served a living man as a sacrifice. Paranormal Inc.- The maze Paranormal Inc. is what occurs when an episode of Ghost Adventures goes terribly wrong. Like Dark Ride, Paranormal Inc. is so enjoyable because it contains many campy elements such as glowing lights and vibrating floors. Special Ops: Infected– I’ll be honest, I didn’t have the opportunity to try this real life zombie shooting game. Fiesta de los Muertos– Once again, Fiesta de los Muertos provided all of the bright hues and sugar skulls associated with Mexico’s Day of the Dead. CarnEvil– I’m obsessed with anything circus or carnival themed, but even I think clowns are getting a bit overdone. For that reason, I wasn’t too excited about this scare zone. The Hollow– The classic “Halloween” aesthetic pairs perfectly with the new maze, Pumpkin Eater. I liked this scare zone, because it contained some unique light up tree trunk props. Ghost Town Streets– This was my favorite scare zone, because it had the best monsters. This was also probably the foggiest part of the park, and I love fog. The Hanging– I didn’t care for The Hanging. The stunts were exceptional, but the show was way too frantic. The writing felt like it was trying to cram the top 100 pop culture moments of the year into about 30 minutes. I can see why people might enjoy it, but it wasn’t for me. Elvira: Mistress of the Dark– I couldn’t think of a better sendoff to the “Queen of Halloween”. 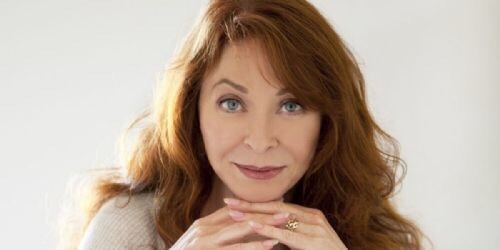 Elvira was as vivacious as ever, and her dancers were equally impressive. The show had some priceless moments like Elvira recreating that famous Flashdance sequence. I was so happy I got to see her final show at Knott’s. Overall, my Knott’s experience was well worth the price of admission. Knott’s has been one of the few attractions that I feel is consistently outdoing themselves. I always tell those who are short on money/time and want the best Halloween experience for their dollar to go to Knott’s Scary Farm. That advice still stands. If you like our content, please follow us on Twitter @HallowsHaunts and right here on the blog. Queen Mary’s Dark Harbor is already considered to be one the premier haunt events of the Halloween season. The addition of “Ghost and Legends” appears to be taking them to a whole new level of haunt entertainment. With the attraction being year round, the ship is about to get a whole lot busier and more exciting! The team here at All Hallows’ Haunts are already big fans of Dark Harbor. Now, with “Ghost and Legends,” Queen Mary will become a place we will frequent more often throughout the year. Be sure to follow us here and on Twitter (@HallowsHaunts) for more information on Dark Harbor, Ghosts and Legends and other Halloween, Horror and Haunt events in Southern California. One of the biggest attractions at Midsummer Scream is always Universal’s Halloween Horror Nights. Every year fans gather in a room to hear any bit of news from HHN’s creative team, John Murdy and Chris Williams. This panel always draws an enthusiastic bunch of haunt fans, and this year was no exception. Before jumping into the new stuff, they provided some background information regarding how they became involved in Horror Nights. Both men painted rosy pictures of their childhood love of monsters, and how it inspired them later in life. None of this was news to me, but Murdy and Williams were as charismatic as usual, so it was still entertaining. As for this year’s Halloween Horror Nights, they walked the audience through pictures chronicling the process of building The Shining maze. They promised the Grady sisters, room 237, Danny on his tricycle, “Here’s Johnny”, and of course the famous carpet. Murdy stated that his goal with this maze is to capture the slow burning dread of the movie. They delved into scare zones a bit, too. One of the scare zones will be Hell on Earth set in New York City. Guests can expect to see an assortment of demons roaming the streets. HHN always creates top notch monsters/effects, so haunt lovers will definitely be in for a devilish treat. Finally, for those super fans, Universal is bringing back their VIP tours known as the R.I.P. Experience. This walking tour includes front of the line passes to everything in the park, free valet parking, special entry, a buffet dinner, and reserved seats for shows. Keep your peepers here for updates about Halloween Horror Nights. Also be sure to follow us on Twitter at @HallowsHaunts. We’ve got lots of spooky stuff in store this Halloween season, and you won’t want to miss it. As we creep towards Halloween, we’re beginning to get some great news about upcoming haunt events. The best news so far, comes from Universal Studios. Universal Studios has just announced that The Shining will be a maze theme at Halloween Horror Nights. 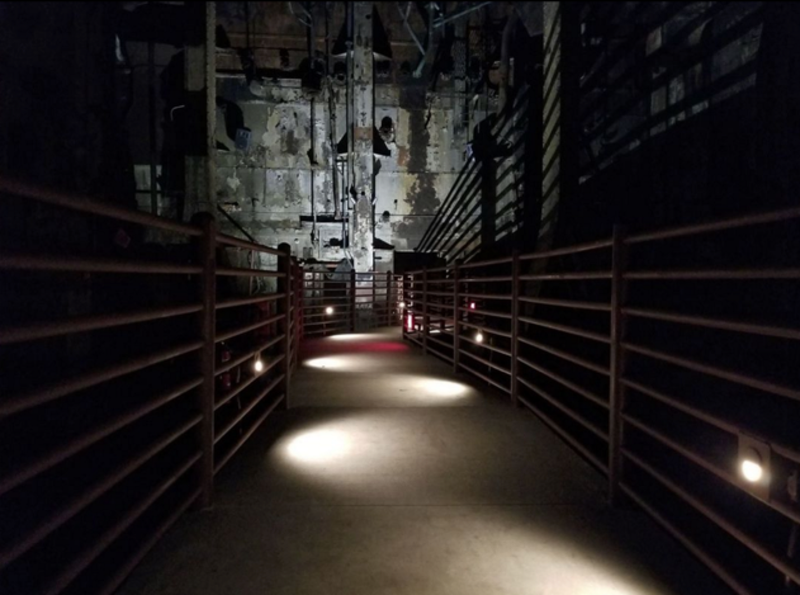 Guests at HHN in Orlando and Hollywood will be given the chance to wander the dizzying corridors of the Overlook. Universal promises to include many iconic scenes from the film, while adding their own creative flair. Those brave enough to enter will encounter a crazed Jack Torrance as well as the spirit of room 237. While not explicitly stated, the maze is also expected to include the eerie little girls Danny encounters in the famous hallway scene. Hopefully, we’ll also be treated to the blood gushing elevator and the guy in the bear suit blowing another guy. Seriously, it’s the weirdest part of The Shining. Click the link above to view the official maze teaser. 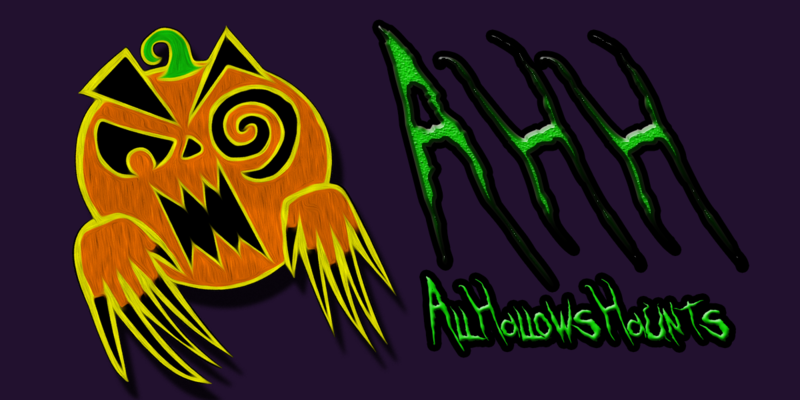 Also follow us right here on All Hallows’ Haunts and on Twitter @allhallowshaunts for more Halloween updates. Midsummer Scream Schedule of Events! It’s just over two months before the return of the Midsummer Scream Halloween Festival. 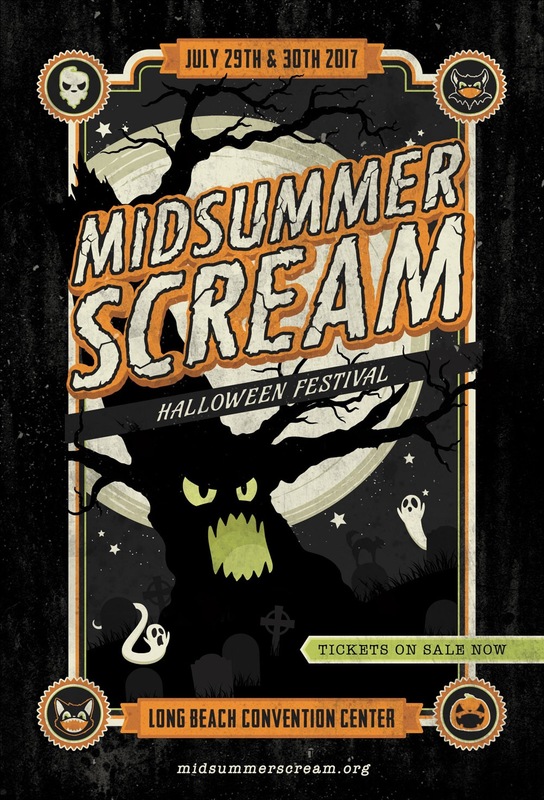 Now, the team behind Midsummer Scream has announced its schedule of events, and it certainly looks exciting! This is only the tip of the iceberg folks, as Midsummer Scream has additional shows, the “Hall of Shadows”, and numerous other events and panels booked for that weekend. Plus, more is on the way. The entire AHH team is anxiously waiting for Midsummer Scream to get here!! !